Arriving on any island on a Friday morning – when people are taking it easy before the midday sermons, chicken curry and picnic trips – can often be a lonely experience. 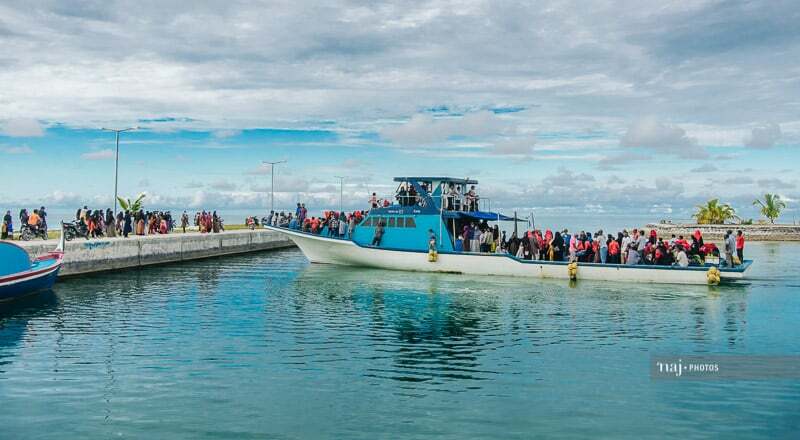 But arriving at Kunahandhoo is even more so, due to the massive reclaimed area needed to connect the village with the new harbour. After seeking shade from the sun beneath an under-qualified little tree on Kunahandhoo’s moonscape, our host managed to find us, and the tour of the island was soon underway. Within a few moments of reaching most islands, and a few general questions, the main features/issues/problems experienced by islanders usually rise to the surface. On Kunahandhoo this was quite literally the case. 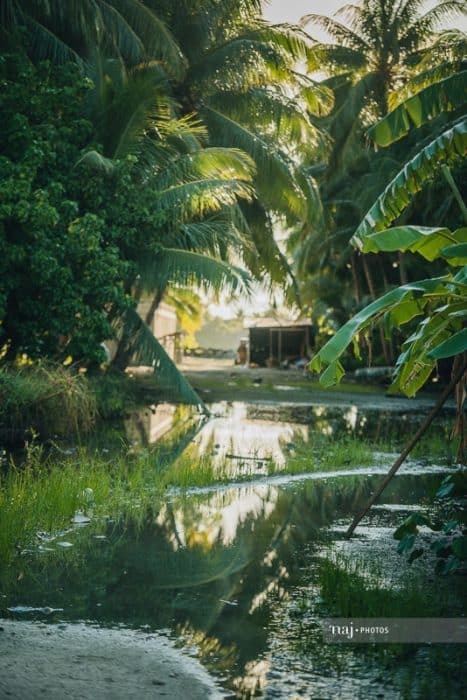 One of the main topics that came up – initially due to the soggy streets after the recent rains – was the persistent flooding experienced by the islanders. 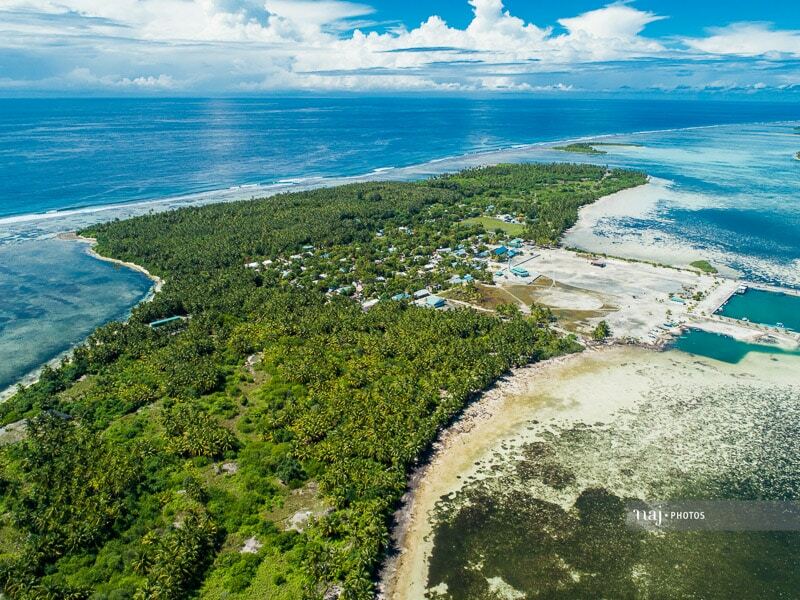 While the Maldives is famous as a low-lying, and therefore an environmentally vulnerable country, Kunahandhoo proves just how low an island can go. After a few more conversations, and peering over the top of a few wells, we learned that the groundwater on the island is usually just a couple of feet below the surface, with some people reporting that it sometimes rises up into the streets at high tide. This is something we’ve read about in similarly imperilled nations like Tuvalu, but nothing we’d ever seen in the Maldives. While this water level makes today’s streets a little treacherous and madhiri traffic a little heavy, it also filled yesterday’s fields with binbi (grain) and reeds suitable for mat-making – the practice from which it has been suggested the island took its name. 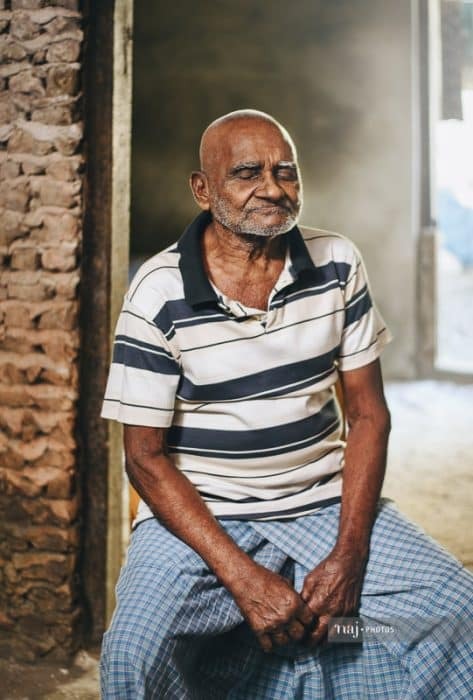 After enjoying breakfast with our hosts at Lilac’ge, we met the man of the house, Yusuf, aged 81, whose fascinating life story took us on a journey through 21st century Maldivian history and culture, including the often unspoken dangers involved in fishing, which cost him his sight more than a decade ago (more on Yusuf in a future story). From the past, we were off to a galaxy far far away as we set out to see the nearby islands used for the 2016 film, ‘Rogue One – A Star Wars Story’ (we’re saving those pics for a big story on that soon). But, first, we caught an unexpected screening of ‘Kaiveni Machah Dhiyun – A Laamu Story’. The unique marriage tradition, which involves a whole family journeying to a new bride’s island to bring her back to their community, was something we had hoped to catch a glimpse of while we were in the atoll, and the timing was perfect. So, we got our Star Wars shots, had coffee with the farmers who lived where we thought we might find imperial stormtroopers, and spent the rest of the evening talking to former katheebs and chasing dragonflies through the muddy streets. Early the next morning, as we waited to head back across the moonscape to our waiting craft, we finally spotted alien lifeforms out there on barren surface. Out came the zoom lens for a closer look, and it turned out not to be extra-terrestrials, but something almost as rare: Maldivian cricketers. As we’d been asked to keep our eyes open for such life-forms when in Fuvahmulah, we duly reported back our findings to the nearby mothership. 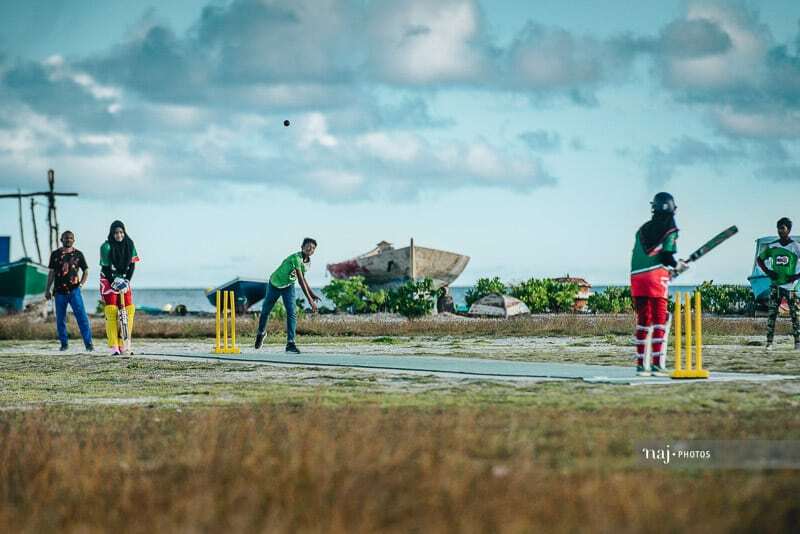 Turns out they’d already been discovered and the Kunahandhoo ladies team are playing in the Women’s National T20 Cricket Shield in Male’ this week. May the force be with them, with the island’s newest married couple, and with everyone on planet Kunahandhoo.